We had a great time on our picnic! The weather was great (as was the company!) 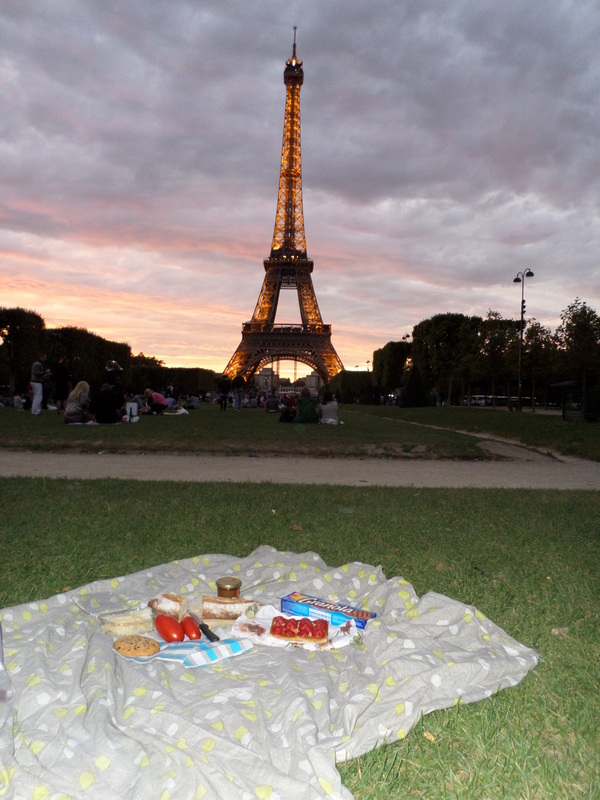 and it was so amazing to be just sitting on the Champ de Mars while enjoying bread and cheese with the Eiffel Tower above us. 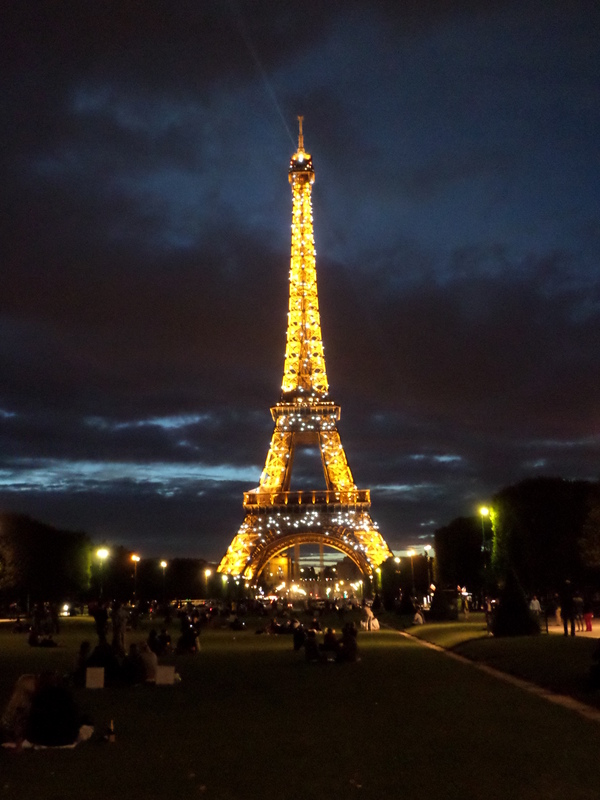 It was still pretty light when we got there, but as it got darker outside, the tower lit up. We even got to see a cool light show! 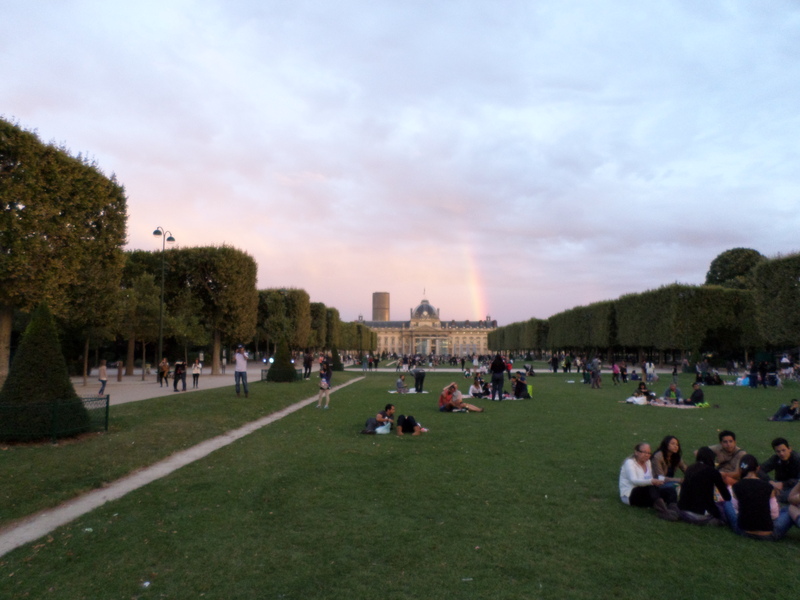 Right as we got there, Scott spotted a rainbow over the École Militaire. 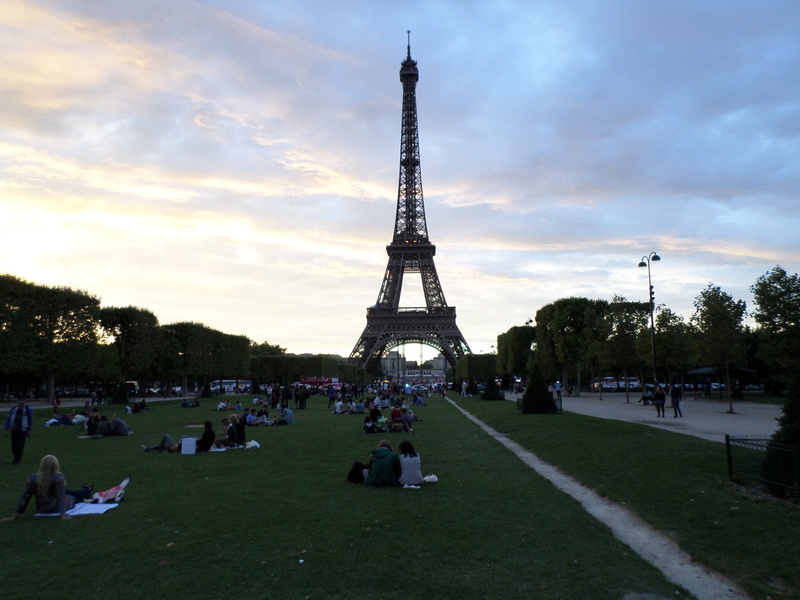 We had a great view of the tower from our spot in the grass. A still picture doesn’t do the light show justice! Check out a video of it here. We came back to the apartment and have been texting back and forth with our friend to see if we can still meet up – hopefully we can make it happen. Overall, today has definitely been a highlight of the trip! 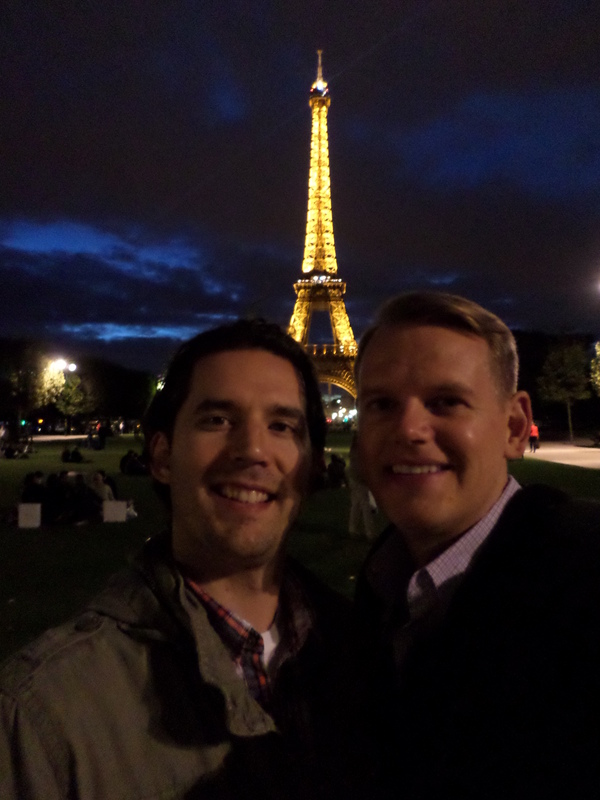 Definitely a great way to experience the Eiffel Tower and Paris in general. 🙂 I’m doing my panoramic shots from my camera – it has a slick panorama function! Scott does his through his phone though as most smartphone cameras have that feature as well.